This picture was taken in 1904. 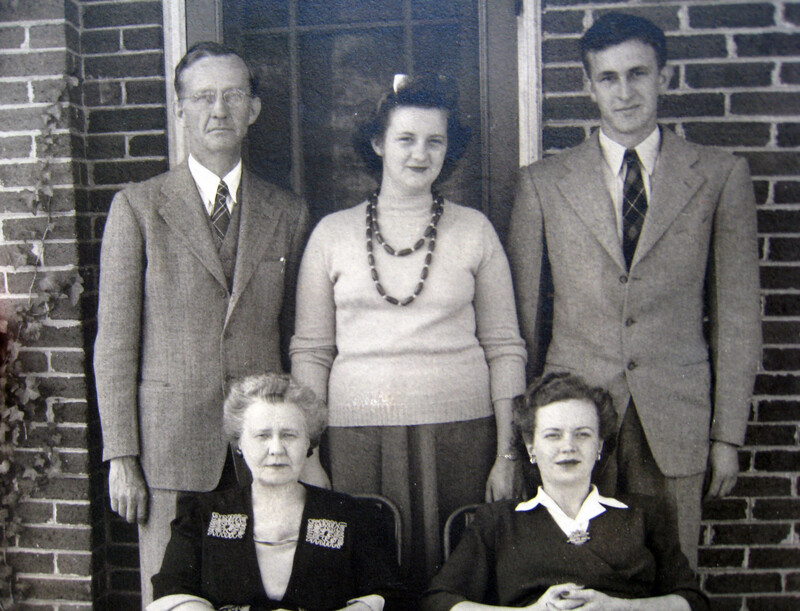 Middle Row: Rose Holthouse (Mrs. Fred Falk), Mary Gertrude "Mayme" Holthouse Lynch, Anthony Holthouse, Margarette Schoen Holthouse, Bernard Wilhelma Holthouse Puryear. Bernard Godfrey Holthouse was known as Bernie to his friends and as "POP" to his grandchildren. Anthony Holthouse was born in Decatur, Indiana and his mother, Margaret Schoen was born in Bavaria, Germany on 2/10/1846. 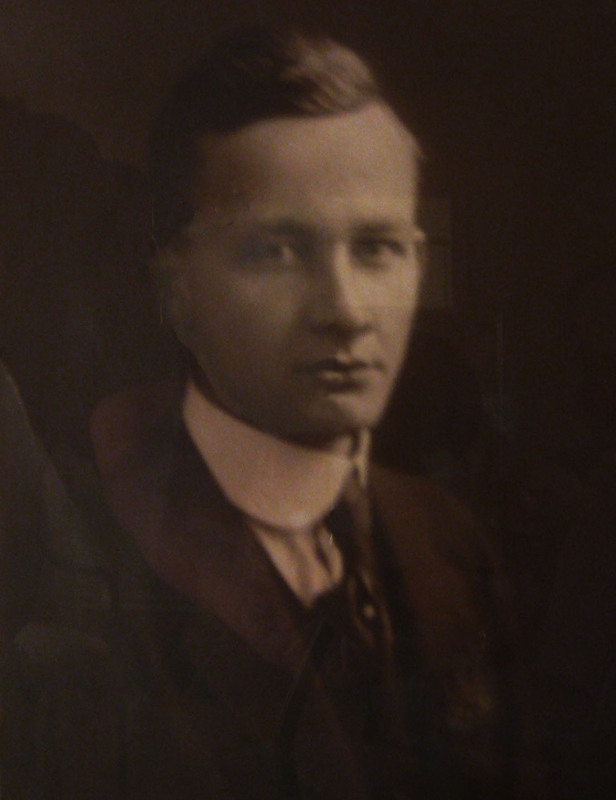 Anthony Holthouse was the son of Bernard Holthouse and Wilaminia Holthouse who had five children; Wilaminia Brake, Peter, Catherine Brake, Anthony, and John. Margaret Schoen was the daughter of John and Mary Schoen who had five children; Peter, Catherine Omler, Lena Colchin, Mary, and Margaret Holthouse. 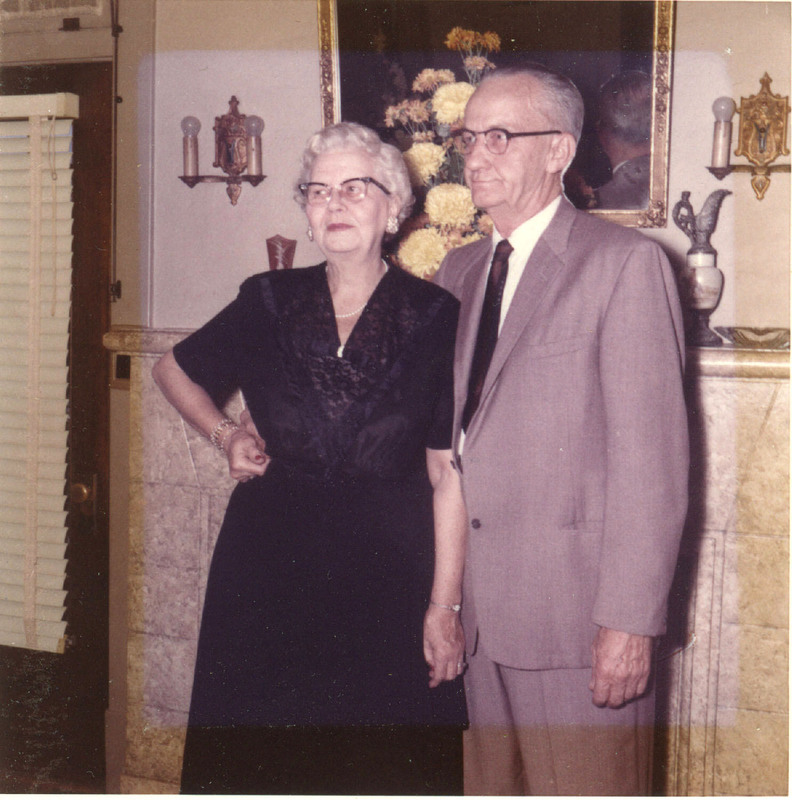 Anthony and Margaret Holthouse had 13 children, all born in Dacatur, IN; Rose Falk, Roman, Mayme Lynch, Clesn, Elenoir, Bertha Winters, Wilhelmein Puryur, Agnes, Frederick, and Bernard. Three children died in infancy. Anthony Holthouse was born and reared on a farm near Decatur, IN. At an eary age he apprenticed to a cobbler to learn the shoe trade, finally owning a retail shoe store in Decatur until about 1898 when he moved his family to Jonesboro, AR where he engaged in the manufacture of bent rims for buggy and wagon wheels with his son-in-law B. G. Lynch. 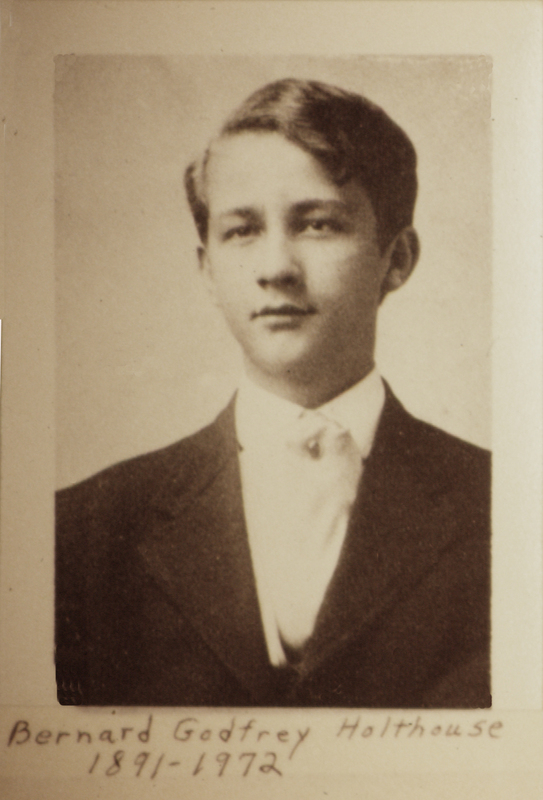 He died on December 31, 1906 at Jonesboro, AR where he is buried. His wife, Margaret Holthouse, died and was buried beside him in September, 1919. The above stories appeared in the Lawrenceburg TN section of the paper. 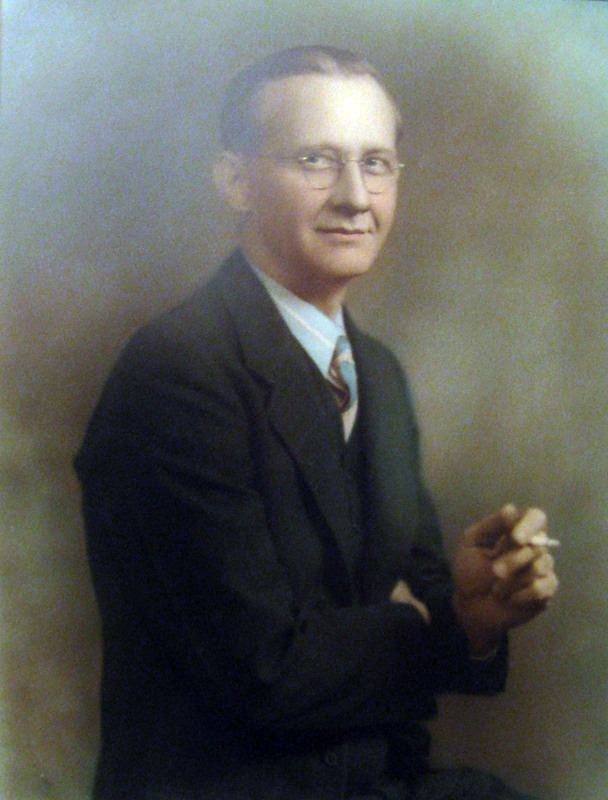 Pop graduated from Christian Brothers College in Memphis, TN and entered the timber business in north-eastern Arkansas. At that time the Mississippi delta was filled with giant cypress trees and swamps. The trees were felled and pulled through mud sloughs to rail heads were they were loaded onto flat rail cars and taken to a nearby saw mill to be converted into lumber. After marrying Nelle Williams in 1911, they lived with her widowed mother. Pop was in the wooden spoke business with his brother-in-law Fred Falk (I believe he really was in business with his brother Fredrick Holthouse based on the obituaries of Fred Falk and Frederick Holthouse). Margaret and Virginia were born during this time. 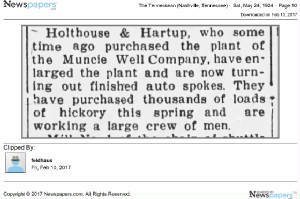 Pop sold his interest to Fred and they all moved to Toledo, Ohio to be Superintendent of the Toledo Carriage Wood Works Company. This business closed and the family moved to Muncie, IN about November, 1917. Pop was Manager of the Pioneer Pole and Shaft timber department and bought hickory during World War One for building trucks. Pop's Mother_in_law became ill and went to the Mayo Clinic in Rochester, MN. She died at the end of June with cancer of the liver. She was buried in Jonesboro, AR. 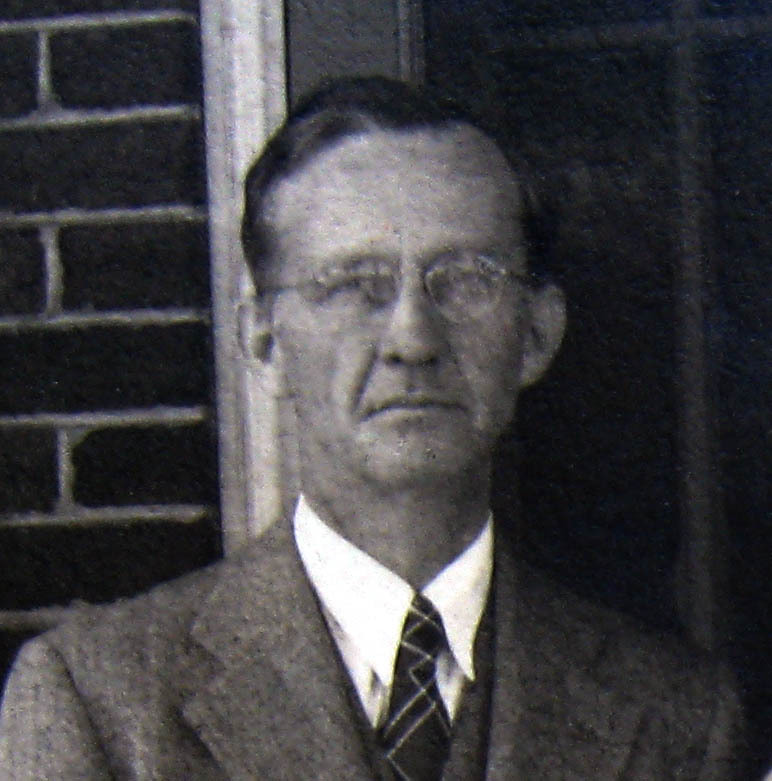 Pop started a wooden spoke business with a Ford contract in partnership with James C. Hartup, a fellow worker. 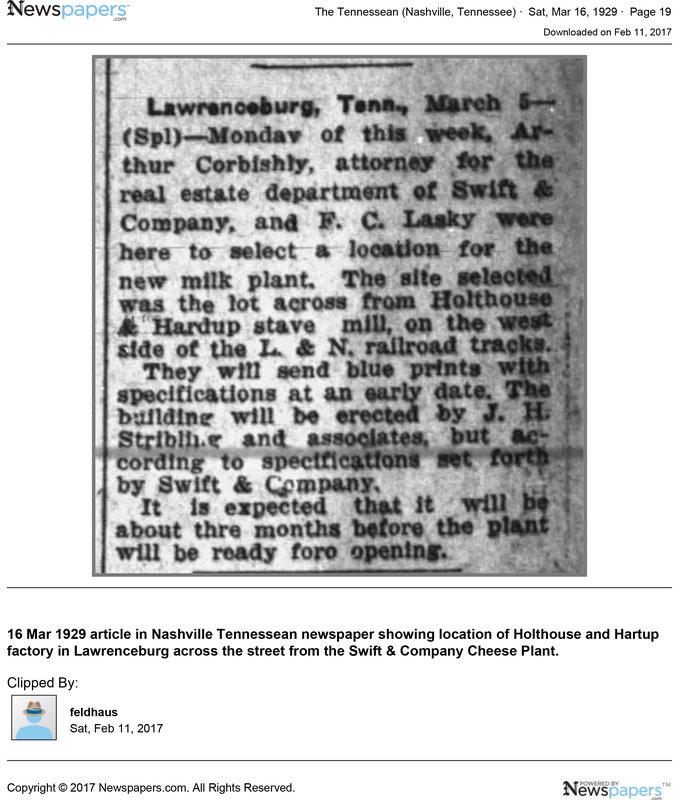 In June of 1924 they moved to Lawrenceburg, TN along with the business, renting a large home just south of the square. When Ford switched from wooden to wire spokes, Pop and his partner began manufacturing barrel staves and then switched to baseball bats made from ash trees. Howeve, the market for baseball bats was not sufficient, so they began manufacturing barrel staves and later a variety of handles for tools. 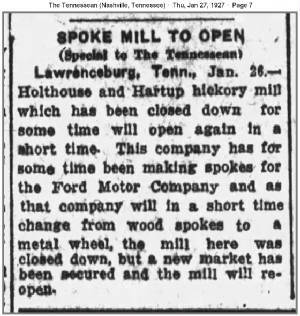 After a short period, they needed to expand and failing to obtain any incentive from the City of Lawrenceburg, they moved the operation to nearby Waynesboro. 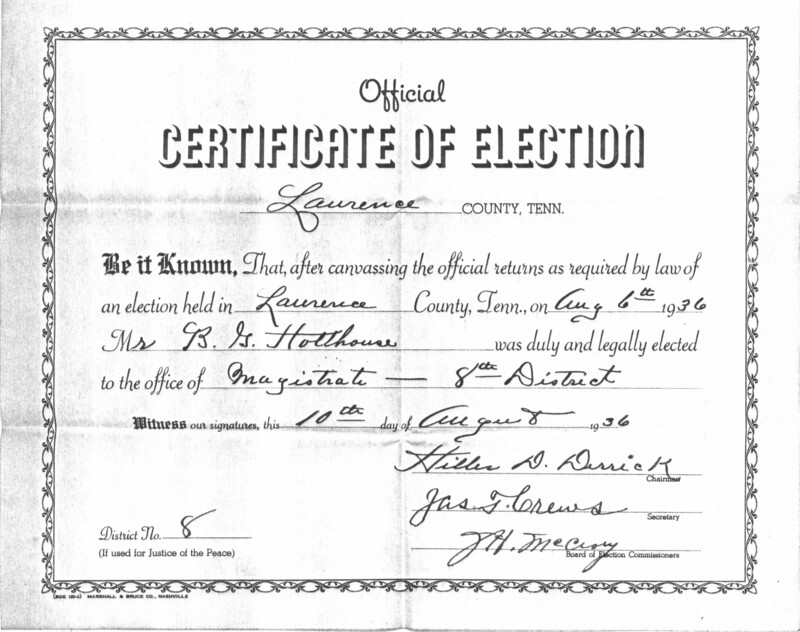 Pop continued to live in Lawrenceburg while Jim Hartup moved to Waynesboro. Click on the Hill Hickory catalog below to read a letter from Pop's youngest daughter Jean with her recollection of Pop's younger days with a copy of the full catalog attached courtesy of Jean. The 1926 Model T Ford came standard with wood spokes, but wire spokes were optional for a premium. Model T production stopped in May of 1927 and Model A production started in December 1927 with wire spokes on all of the Model A vehicles as standard. In 1950 Pop gave me and my brother Jack each a personalized Boy Scouts of America hatchet. On one side it had our name and the Boy Scout emblem. On the other side it had "Genuine PLUMB". 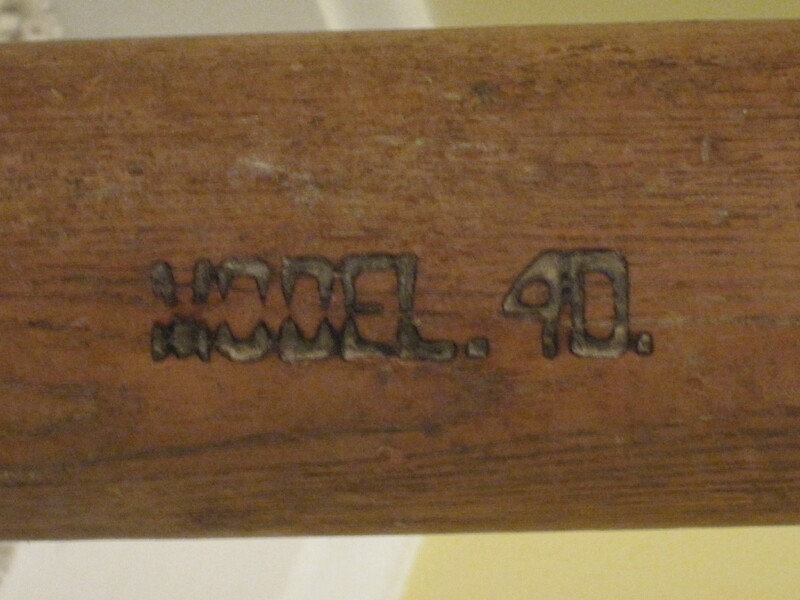 Plumb was the name of the Company who made the hatchet. Pop's company Hill Hickory made the handle in the hatchet. I still have the hatchet he gave me 60 years ago, including the leather holster that enclosed the metal part of the hatchet and attached it to my belt with two belt loops. It's a little worse for wear. Below are pictures showing views of the hatchet. You can click on any small picture below the main picture area to see that picture in the main picture area. 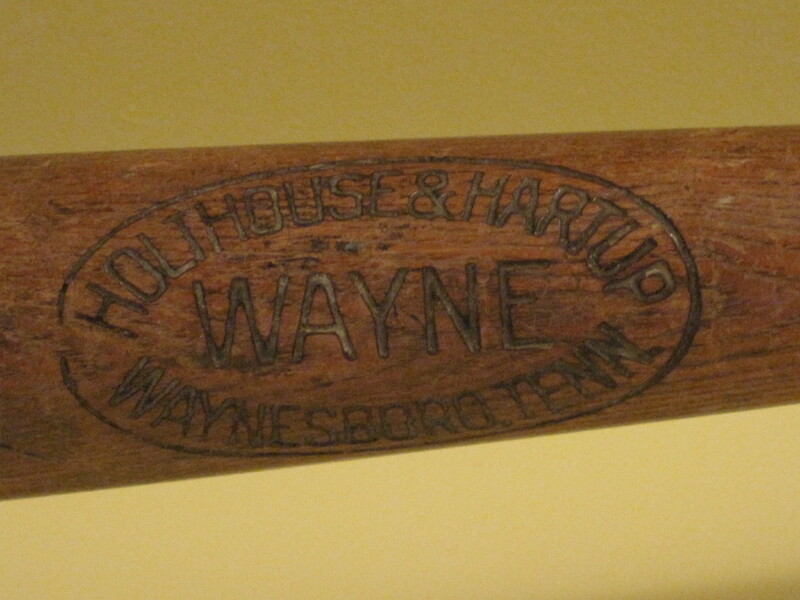 Clay Stevens sent me an email in early 2010 telling me about a "Wayne" baseball bat he had found in his father-in-law's shed in Ft. Thomas KY when he was helping clean out the shed. His father-in-law was throwing it out but Clay cleaned the cobwebs off and kept it. His father-in-law had no idea where or when he got it. Clay was curious and started searching the net until he found this website. He offered to send me the bat, but I declined and asked for pictures instead. 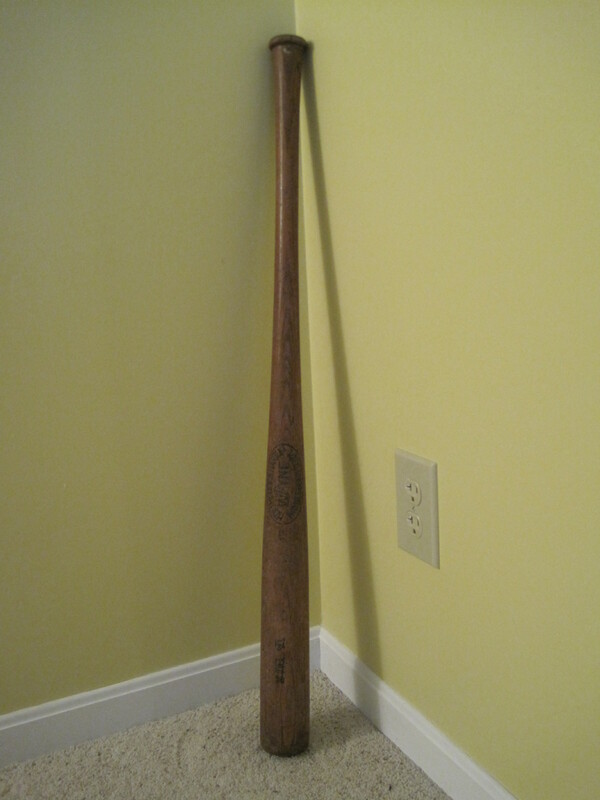 He was kind enough to send the below pictures of the bat which was manufactured before 1940 and probably before 1930. 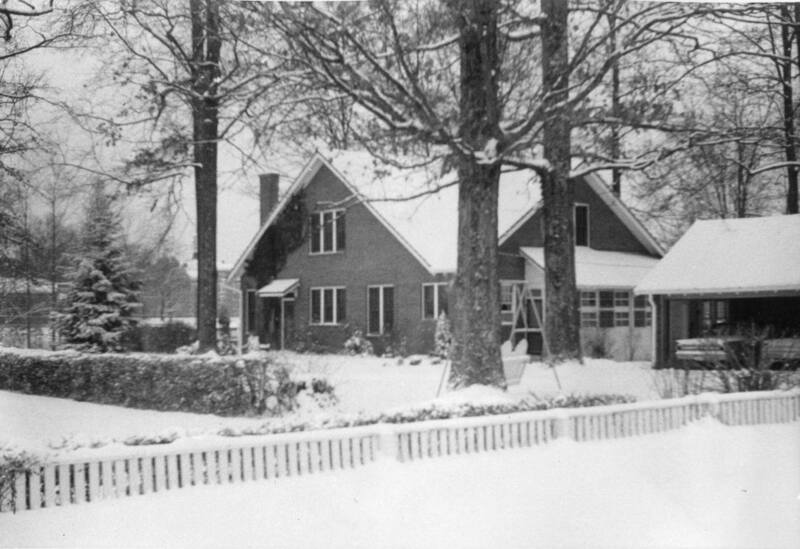 The house the Holthouse's rented when they moved to Lawrenceburg about 1924 was still standing when this picture was taken in March, 2006. Below are more pictures of the Garrett House and one of the Courthouse about 1926. Click on a photo to open the slide show viewer and click on the word "info" on the right to see details about each photo. To move between photos click on the arrows to the left and right of each photo. There are two pages of photos. To select a page, click on the option at the top of the frame. The business prospered and when the market crashed in 1929 and a depresion ensued, the business prospered even more as there was an increased need for hand tools to do the manual labor that was being paid for by the federal government. In 1930 they started building a new house. It was located just past the old Jeter Motel on the Pulaski Highway on the site of the old Lawrenceburg Military Academy. He chose that site because of it was covered with large oak and hickory trees and he loved trees. Joe Remke, my schoolmate Charles (Sonny) Remke's dad built the house at a cost of $5,000. They moved into the new house just before Easter, 1931. Sometime before 1941 Pop and Mama Nelle's sons Bob and Junior dug out the basement under the complete house. Previously the basement had consisted of only a room for the central coal fired boiler and another room for coal storge. Following WWII, the boiler was converted to propane and a large central fan was installed downstairs to pull air through the house on hot summer days. This was before the days of air conditioning. Pop always got up at 3 AM and went down to the Chickadee Restaurant for breakfast. It was located between the Gulf station on Cyclone Corner and the Chevrolet dealership across the street from the Blue Ribbon Cafe. After breakfast he drove to work in Waynesboro, doing a days work in the office before the employees arrived. In spite of getting up every morning at 3 AM, Pop retired at night between 10 and 10:30 PM. He had the gift of being able to catch a catnap any time he had to wait for anything. I always thought he suffered from narcolepsy, but this ability to catch catnaps allowed him to get by with very little sleep at night. Pop loved to walk in the woods measuring the timber value of a tract he planned to purchase. He also loved visiting the many small suppliers who cut down oak and hickory trees , sawed them into logs, and then hand split them into billets. He was well known and loved by everyone in Wayne County, including his employees. He would often lend his car to an employee or friend who needed transportation. In fact, he loaned me his car any time I asked for it. 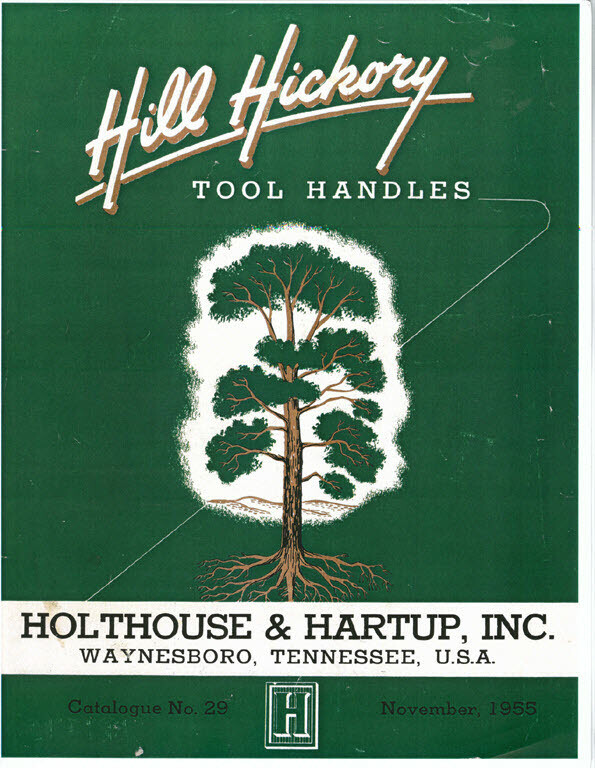 Pop traveled frequently selling Holthouse & Hartup handles to wholesale hardware companies and attending industry conventions. He never ate alone, prefering to join another traveler so he would have someone to talk to. He never met a stranger. He always wrote home and copies of several of these letters can be accessed by clicking on the links below. 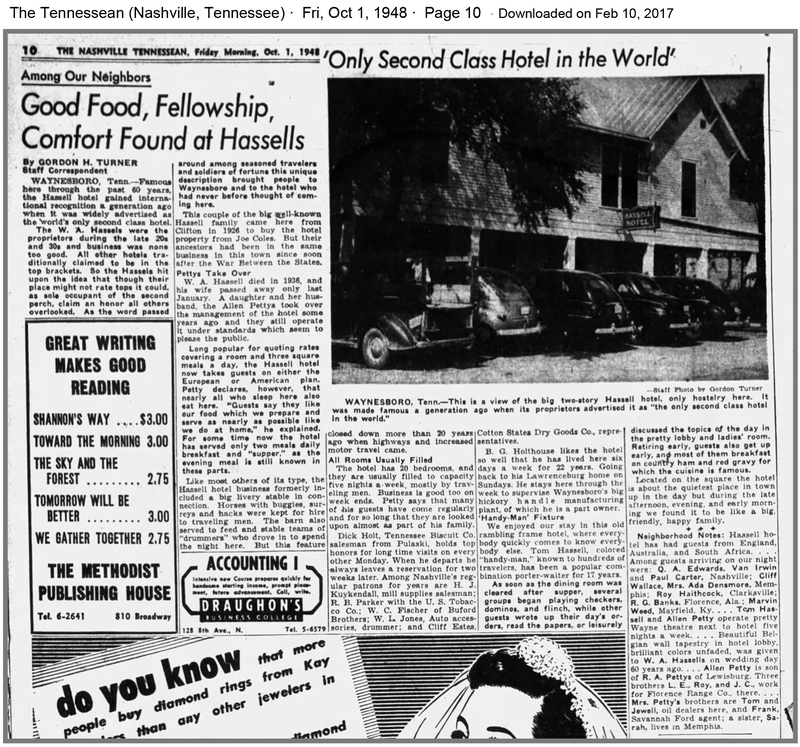 The below article from the Nashville Tennessean says that Pop had a room at the Hassell Hotel in Waynesboro for 22 years from 1926 to 1948 and stayed at the hotel six days a week, returning to Lawrenceburg to spend Sunday with his family. I remember that Mama Nelle and Pop spent the war years living in the Hassell Hotel because it was impossible to get gasoline to make the daily commute. We moved into their house in Lawrenceburg while they lived in Waynesboro. As I mentioned above, Pop commuted daily between Lawrenceburg and Waynesboro, getting up at 3 AM to make the trip and arrive early enough to get all of his paperwork done by the time the office staff arrived. I don't believe Pop spent 6 days a week for 22 years in the Hotel. He may have rented a room so he would have it if he needed to spend the night because of work or weather, but it's not likely he spent much time in the Hotel except during the war years. 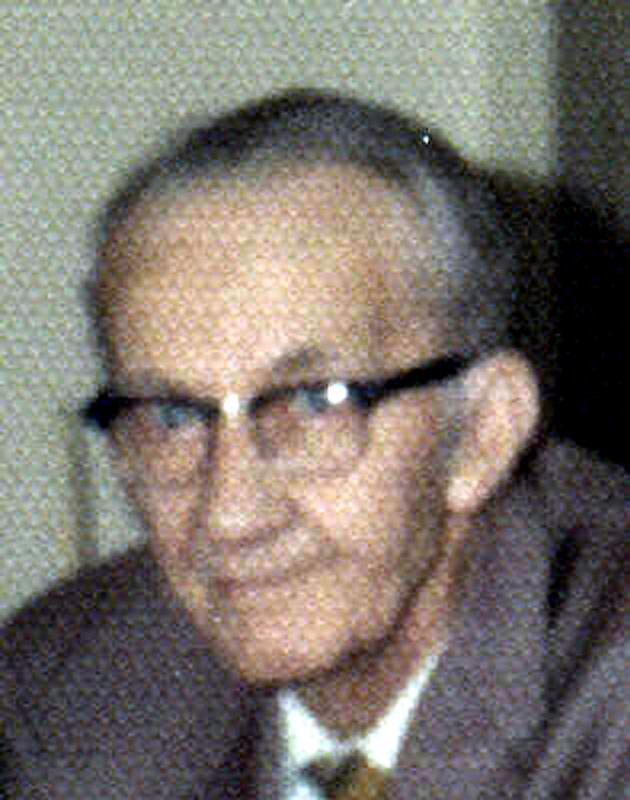 Pop was in partnership with Jim Hartup, who was older than Pop. Jim was the operations man and Pop was the General Manager and also handled purchases of raw material, including timber. Sometime during WWII Pop and Jim had a rift and Jim moved to Waverly where he bought raw material for the Company and operated a small saw mill to convert timber into billets which he would ship to Waynesboro for conversion into handles. 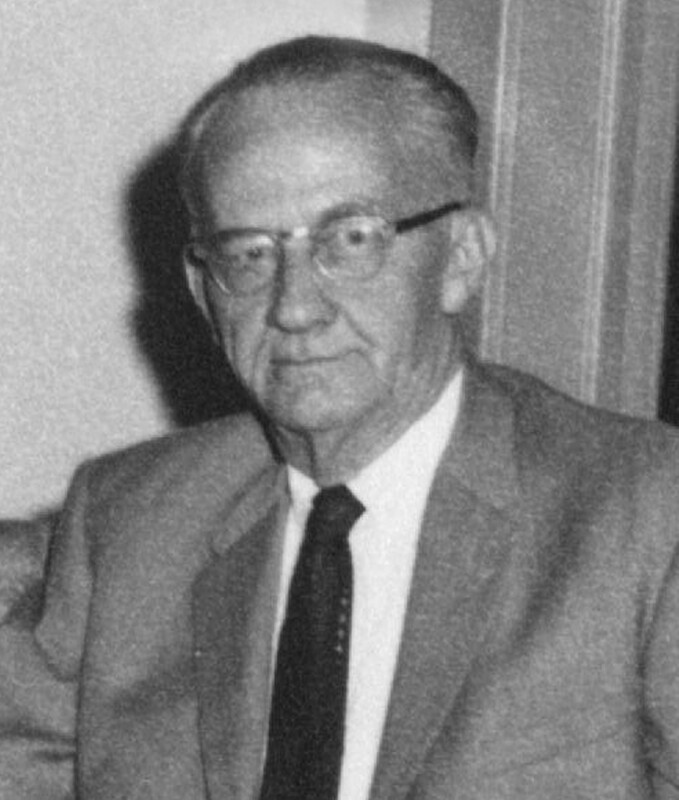 Jim's son, Jimmy took over the operations leadership left vacant by his dad and continued in that role until Pop liquidated the business in about 1964. For the first time, the labor force voted to organize a labor union and went out on strike for higher wages. Pop advised them that he could earm more on his invested capital by putting it in a bank and drawing interest, but they struck non-the-less. Pop closed the doors and liquidated the assets. 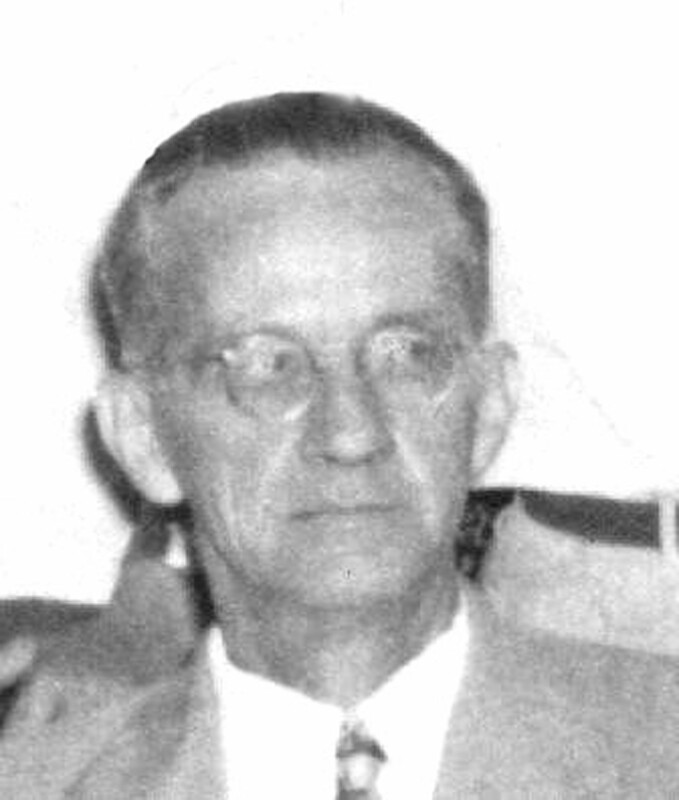 Pop's partner, Mr. Hartup died on January 28, 1968. Click on the small copy at the right to read the obituary. 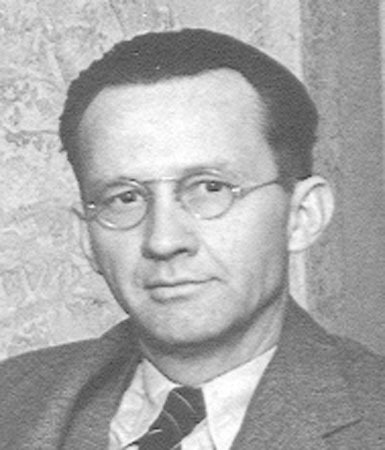 His son, James H. Hartup, was born 14 Feb 1912 and died 30 Jan 1994. Pop loved to work cross-word puzzles and play bridge. He also loved to work with numbers. Other than than that, he had little to occupy his mind after he retired other than watching TV. He lead a quiet life in retirement until he found out he had prostate cancer. It was advanced and he died a short time later. 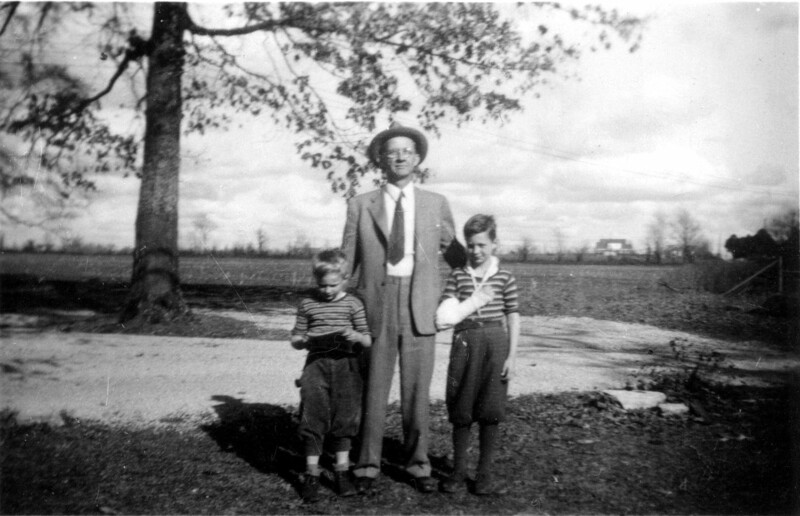 This picture of Pop with Jack on the left and me on the right with the broken arm was taken looking from the front of the house out across the circle drive toward the open field beyond. The old Military Academy swimming pool was located just across the drive to the right of this picture. 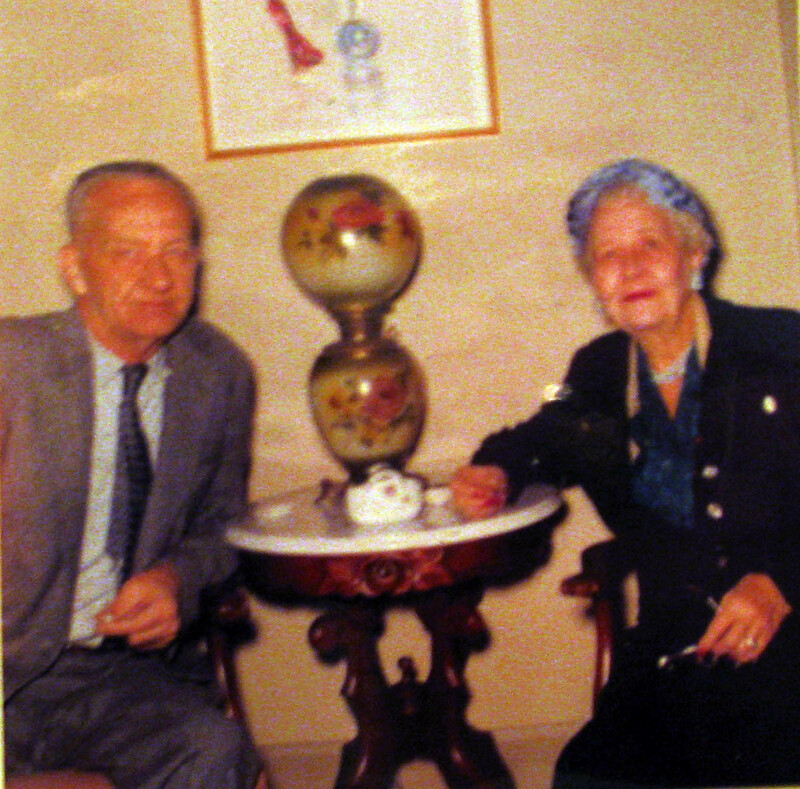 The below picture was taken in 1971 at their home in Lawrenceburg. 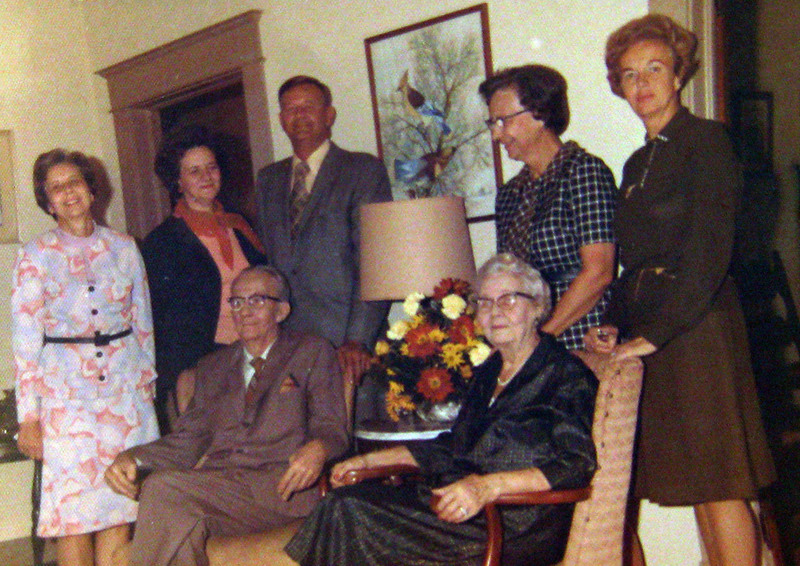 From left to right: Virginia, Jean, Bob, Margaret, and Maude all standing behind Pop and Mama Nelle sitting. Pop was always encouraging his children, as well as his grandchildren, to try new things and strive to achieve in business. 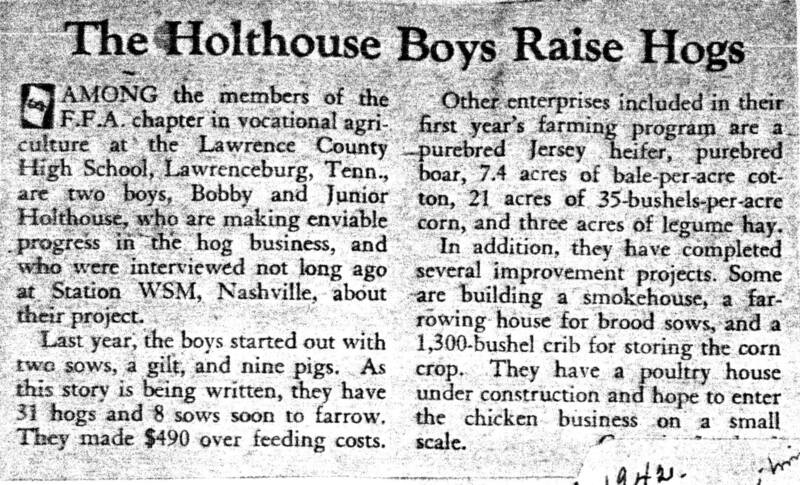 When his sons, Bob and BG were in high school he encouraged them to start a farming operation on the home place. The following article shows the scope of the resulting effort. In September of 2015 I learned that Pop attended College for two years in Illinois prior to going to Christian Brothers in Memphis. Below is information about the school he attended and what he wrote in a note my brother Steve just passed on to me. 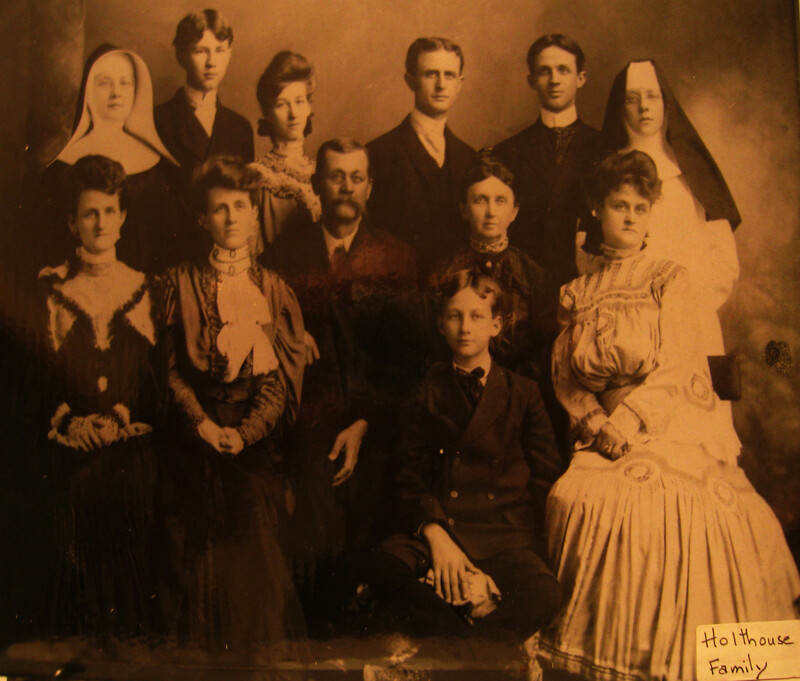 Note that in the list of Students, St. Francis Solanus College, 1905-1906 on page 34 of the booklet Bernard Holthaus from Arkansas is shown as being in the 2nd Commercial group.